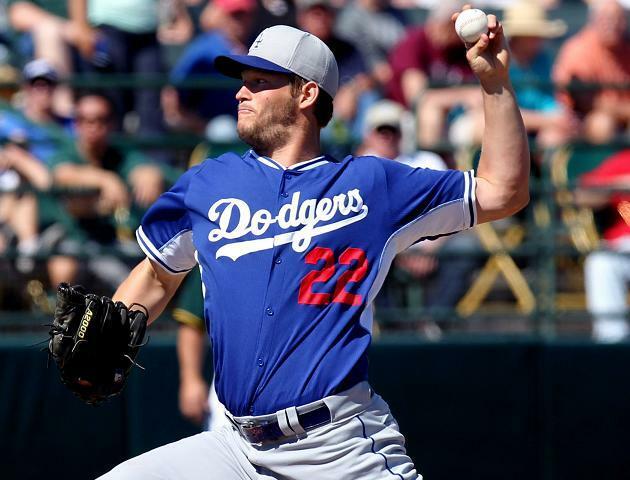 It seemed the Los Angeles were merely exercising caution when they scratched ace Clayton Kershaw from his scheduled start against the San Diego Padres on Sunday night. Kershaw even stated he felt as though he could pitch through what was diagnosed as inflammation of the Teres Major muscle in his upper back if the Dodgers needed him to. However, as Kershaw learned on Saturday, back issues can be tricky and a tad unpredictable. The Dodgers have backdated it to March 23, which makes him eligible to return for an April 8 date with the Detroit Tigers. If that's the case, he'll miss what amounts to one trip through the rotation since the Dodgers will have three scheduled off days over the first week and a half of the season. But again, it's a back injury and there's inflammation involved and sometimes those situations can linger or reappear without any rhyme or reason. It's the first time Kershaw has been placed on the DL in his seven year career as well, which complicates matters to some extent. He's in unfamiliar territory with rehab and long-tossing and realizing when he might be pushing a little too hard. Kershaw felt something on 27th throw today - long toss, maybe 100 feet - and Dodgers decided to shut him down to "protect him from himself." The Dodgers haven't set any type of timetable at this point or revealed what their next plan of action will be. A few days of rest seems likely since the throwing program may have pushed him back to square one. And yes, given that we've reached this point and given that Kershaw was by all accounts one-hundred percent healthy heading to Australia, it's fair to wonder if the long plane rides contributed to his ailment. There's a reason the Dodgers were hesitant to send Kershaw to begin with, only relenting after Zack Greinke, Josh Beckett and Dan Haren were ruled out. They were probably thinking more along the lines of keeping his body clock on schedule than possible injury, but here they sit without their durable ace for at least the first week. Was it worth it to send him? Probably not. But lesson learned this time, and good luck convincing the Dodgers to make a similar trip anytime in the near future.